It’s late June, 2017 and the next day we’re heading out. 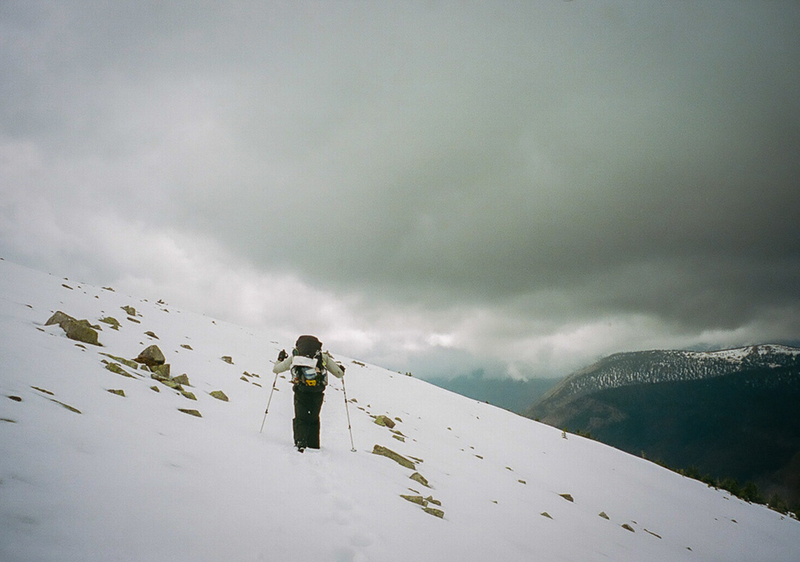 Four to five months of hiking through some of the wildest areas the Lower 48 has to offer. 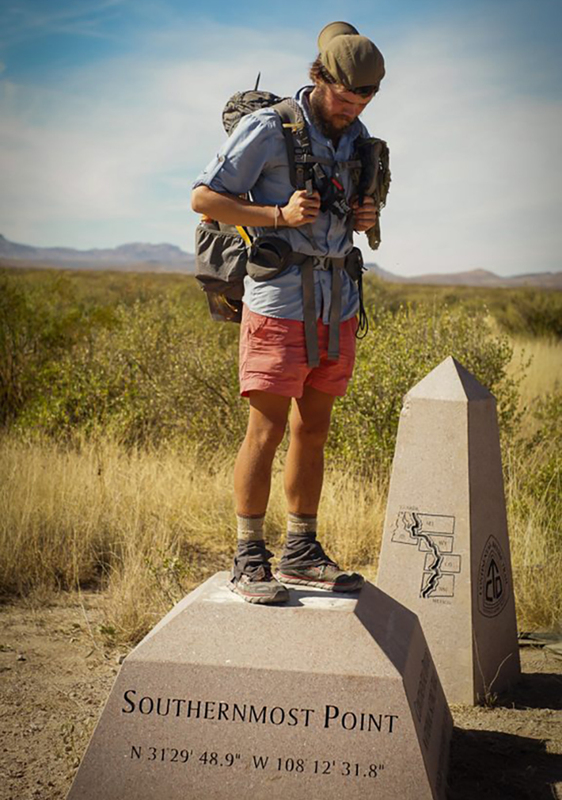 Myself and a bunch of experienced hiking friends are setting out to thru-hike the entire length of the Continental Divide Trail–starting at the Canadian border in Glacier National Park and finishing at the Mexican border some months later. We’re all prepared for what lies ahead, or so we think. We’ve been planning for months, but last-minute nerves are running high. Behind the laughter and the gas-station sunglasses lies tension. That night we settle into our tents, and I lie on my air mattress for the first time in many months. I wonder, “Am I really ready?” I awake in the morning shockingly cold. The daytime temperatures were in the eighties but it had gotten cold in the night. The temperatures and the nerves left me shivering in my quilt. I got out of the tent, unwilling to show the emotions I was feeling. I laughed with the others, “got a little cold in the night”, they laughed back. Friends, though they were, I didn’t want to admit I was having doubts. Two years previously I had completed a thru-hike of the Appalachian Trail with some of these people, and now I was about to set off on another adventure. The weather conditions and the temperatures didn’t swing wildly on the AT. I used a 20-degree quilt for the duration of the trail. It was warm enough on the coldest nights and rarely did I climb inside on the hot and humid summer days. I was pretty impressed with my quilt, it was versatile, packed down small and the weight savings were undeniable. A few days into the CDT I realized my old quilt from the AT just wasn’t going to cut it. I’d washed the quilt after the AT, and it had never really recovered. It had lost a lot of its loft, and I could never get the down to re-distribute evenly, leaving down clumped in some areas and non-existent in others. I contacted the manufacturer and explained my situation, even though I’d followed their washing recommendations there was nothing they could do. I decided to order a replacement from them, choosing a 10-degree quilt, and they offered to put my order to the front of the line given my situation. I picked it up a few days later in the next trail town and was impressed by how lofty it was. As we got further south and down into Wyoming it started to get colder. For the previous few weeks since picking up the quilt I’d been using it on a daily basis and it was a marked improvement. I’m a pretty terrible sleeper, even in “real life”, often waking up at 3 a.m. tossing and turning for hours before maybe getting back to sleep. Knowing this, I try to reduce the possibility of things waking me up in the first place–peeing before I sleep, wearing ear plugs to bed, etc. The design of the quilt meant it had some open gaps in the back, even when all the buckles were closed. Rolling around in my sleep like I do I’d feel those cold spots and it would wake me up–sometimes meaning I’d lay awake in my tent until dozing off again. I was managing to make it work by sleeping with most of my clothes on and just accepting that I’d rarely sleep all the way through the night. We got down to Steamboat Springs, Colorado and temperatures were already getting colder as we gained elevation. 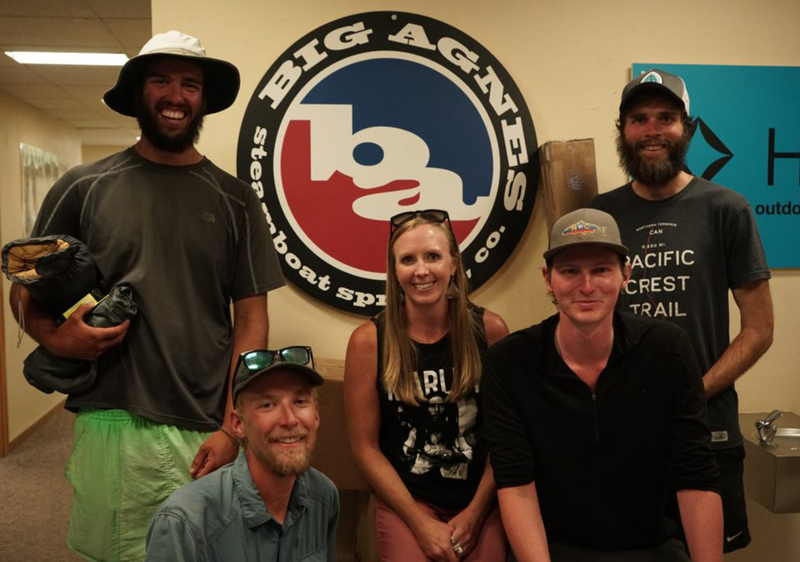 On arrival in town we had arranged to meet up with the crew at Big Agnes and tour through their facilities, meeting staff along the way and getting sneak peaks at some prototype gear they were working on. I talked about my quilt dilemma with them and they offered to let me use a new bag they were soon to release, the Orno UL 0-degree bag. I was stoked to test out the bag even though I was worried about the extra weight it would add to my pack. It was a good bit heavier and more bulky in my pack but I was hoping it would help with my sleeping problems. I was right. The first evening on trail after leaving Steamboat Springs we finished hiking for the day and it was starting to get cold. I setup my tent, blew up my air mattress and unpacked the Orno. I was shocked just how lofty the bag was and excited to climb inside. After a classic trail dinner of two bricks of Ramen noodles and a foil packet of tuna, the crew retired to bed. I climbed into the Orno and was immediately glad I’d decided to make the switch. Aside from being rated 10 degrees warmer than the quilt, the design of the bag made it one of the most comfortable night’s sleep I’d had on the trail up to that point. I thought I’d find the tapered mummy design restrictive, but I found it roomy. The 3D foot box meant my feet could stretch out and move around freely. Further into Colorado and the temperatures and conditions continued to worsen. Several days we were battered by rain and had to be aware of thunderstorms moving through the mountains. 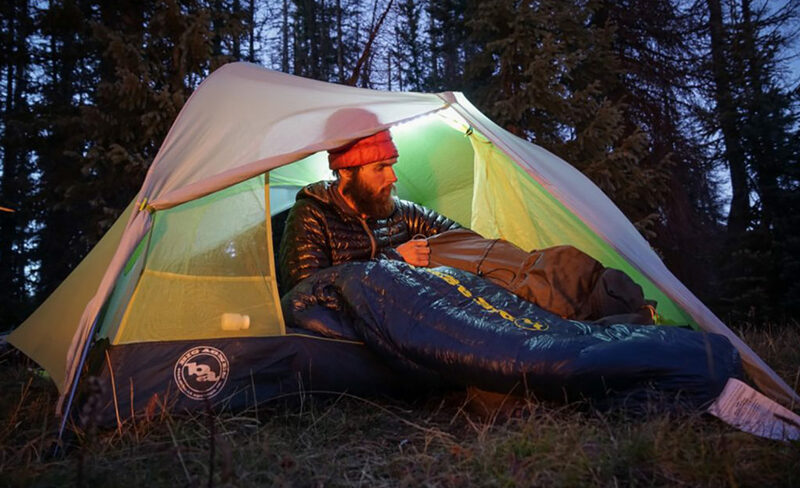 The new-found warmth of the Orno meant most nights I slept in the bag with the zipper open, even though some of the other guys were struggling with the frigid nighttime temperatures. We all had to suffer through the cold days of hiking through shin-deep snow and strong winds, but I felt more at ease knowing I could retreat into my tent and be warm when the day’s hiking was done. The coldest evenings on trail I did sleep in most of my clothes and zip the sleeping bag all the way shut. The well-designed hood felt luxurious after not having one on the quilt. At no point on the rest of the CDT was I ever so cold I couldn’t sleep. The tossing and turning continued, but no more cold spots meant it was one less reason for me to lie awake at night. Condensation was an issue for everyone on the CDT, and most of us were using single-wall, ultralight shelters and had to contend with the issues that come along with that kind of tent. Despite good ventilation and often sleeping with the doors open, we often woke with heavy condensation inside. Unavoidably this meant that the toe box and the hood of the sleeping bag got wet during the night. The shell material of the Orno did a decent job of repelling the moisture, but it could only be expected to do so much. 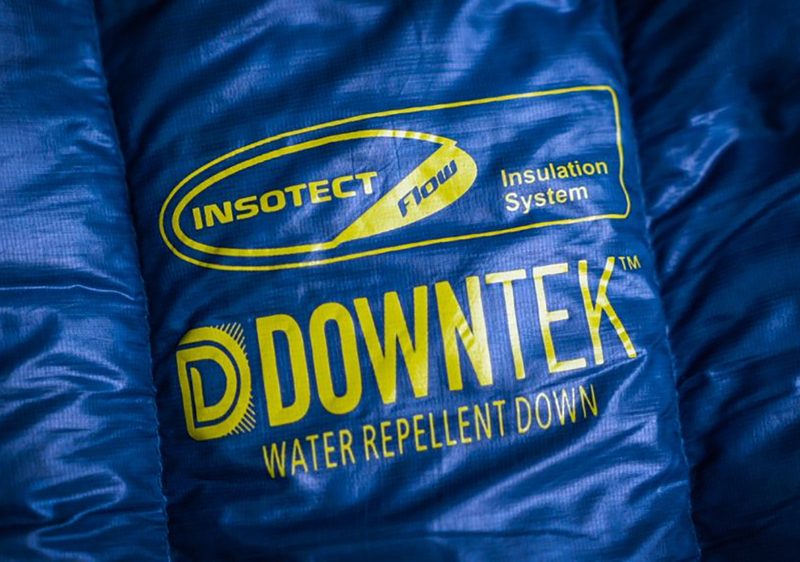 Big Agnes uses DownTek™ down inside the Orno, and from previous experiences I knew that would help prevent the down from being soaked through and thus basically useless. 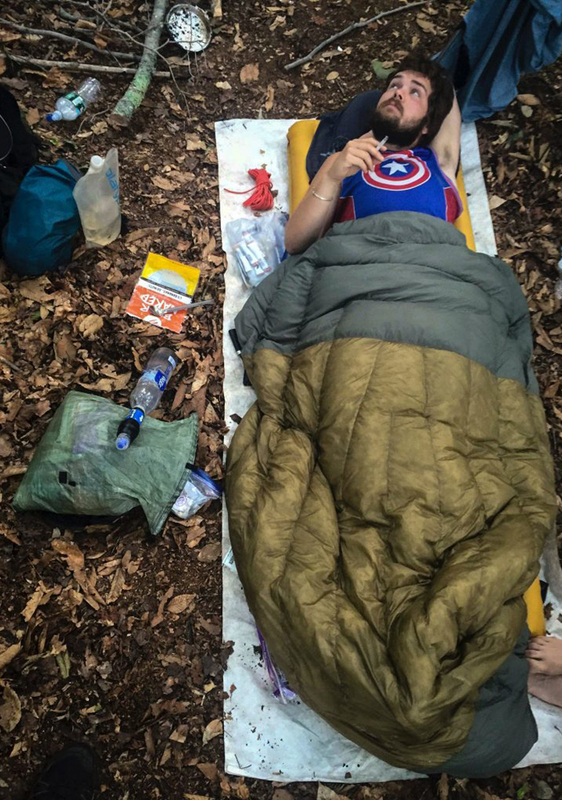 Packing up a wet tent and a damp sleeping bag is one of a thru-hikers’ least favorite things to do. Most lunchtimes we threw out our gear to dry while we stopped to eat. Most days, if the weather Gods were good to us, the bag would dry out with some moderate sunshine and/or wind. When we finally dropped down out of the mountains of Colorado into the desert of New Mexico the conditions improved dramatically. It still got cold at night, but no more were we trudging through snow in near-freezing temperatures. Hiking through the hot desert during the day was a new experience, as was cowboy camping under the stars at night. Tired and worn down we made it to the Mexican Border. All of us a little hairier, a little lighter and having learned a lot about ourselves.